Christine Griffiths, 28, of Randolph was a young mother, devoted to her baby daughter, Michaela. 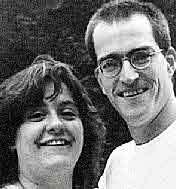 Coming home from a Bickford's restaurant the night of June 24, 2001, Griffiths told her friend she felt ill and asked her to pull over on Route 128 in Randolph. Standing in the breakdown lane, Griffiths was struck and killed by a drunk driver. William Foley, 40, of Braintree was sentenced to four years in prison for Griffiths' death. It was his fifth drunken driving arrest. At 17, Kristopher Carew had a lot of friends. He had so many that at least 700 of them filled a church in Holbrook the day of his funeral. Carew was killed Sept. 29, 2000, when a drunk driver plowed into the car he was riding in. His twin brother, Nicholas, who was also a passenger, was uninjured. The driver, Richard Abbott, 28, of Holbrook, had a blood alcohol level of 0.17 and at least one previous drunken driving conviction. He was sentenced to four to five years in state prison. A group of friends, former classmates at Don Bosco High School, were passengers in the same car the night of Jan. 13, 2002, in Milton. When the car hit a utility pole, Thomas C. Picarello, 21, formerly of Hull, was thrown from the car and later died. The driver, Andrew Pollack, 21, of Dedham, ran away. Pollack already had two drunken driving arrests on his record. He pleaded guilty to motor vehicle homicide and drunken driving and got two years in jail. Patrick Connolly decided to catch a ride home after a party in Milton with someone he hardly knew. Connolly, 19, who was from Boston, was killed on Aug. 6, 2000, when Joseph Burke, then 21, of Dorchester lost control of his 1987 Ford Mustang and it flipped over on Granite Avenue in Milton. Burke was on probation in connection with a drunken driving charge that had been continued without a finding a few months earlier in Taunton District Court. He was sentenced to five years in jail for the Connolly crash. It should have been a good day for Melanie Powell. It was the middle of the summer, July 25, and Melanie, 13, of Marshfield, had a birthday party to go to after spending the previous night at a friend's house. Later, walking to the beach with friends, Melanie was hit by a car. She died of her injuries. It was the second drunken driving arrest for the driver, Pamela Murphy, 49, of Marshfield. A charge of motor vehicle homicide is pending. Hanson native James Broadbent Jr. and his fiancee, Lisa Squillacioti, were looking forward to marriage and children. Their families said they loved to do volunteer work. Broadbent, 32, the father of two, and Squillacioti, 30, were killed by a drunk driver in Rockland as they drove home from a charity golf tournament Sept. 22, 2001. Police said the driver of the car, Russell Curran, 29, of Rockland, had been drinking for hours that night. He already had one conviction on his record. Curran pleaded guilty. He was sentenced to three to four years in state prison. Rose Smith, 57, worked as a nursing assistant at the Bridgewater Nursing Home on Route 104 until a few months before she died. She was well liked. Co-workers said even after she left her job, she occasionally checked up on the patients. Smith, who lived alone and had no relatives, was killed May 27, 1998, when a drunk driver slammed into her car on Route 14 in Whitman. The driver of the other car, Tara Dooley, then 24, of Pembroke, had a previous drunken driving conviction. Dooley was sentenced to 2½ years in jail. In February 1999, Robert Fleming, 31, of Quincy was thrilled to be starting a new construction job. He and his wife, Pattie, were anxious to buy a home and start a family, and he saw his new job as a ticket to their dreams. He was killed Feb. 6 when a car driven by a friend, Charles J. Gaziano, then 41, of Weymouth, flipped over on the Southeast Expressway in Boston. Gaziano had two previous drunken driving convictions. "I don't have my best friend to grow old with," Pattie said then. "The world will never be the same."